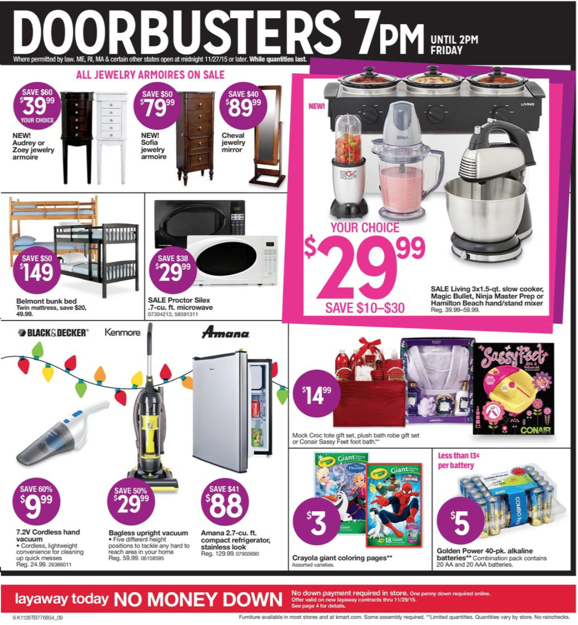 Want low prices on everything from toys and electronics, to appliances and household products? 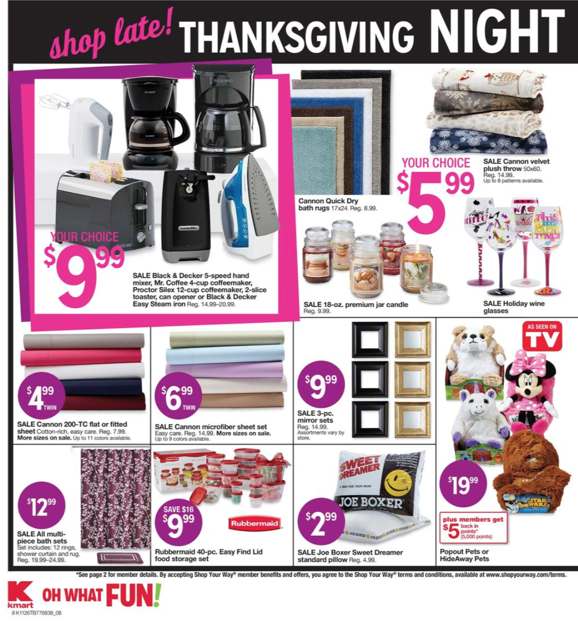 Then Kmart is the store you should go to. 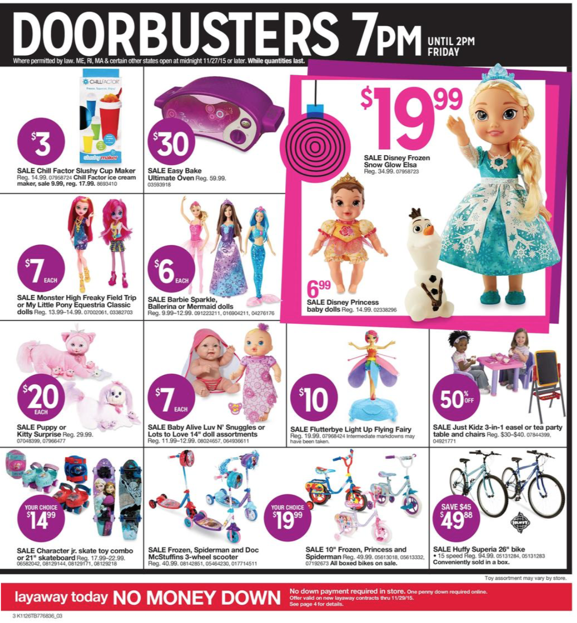 They carry much of the same products that the big box stores such as Walmart and Target carry, but they will have less crowds than them. 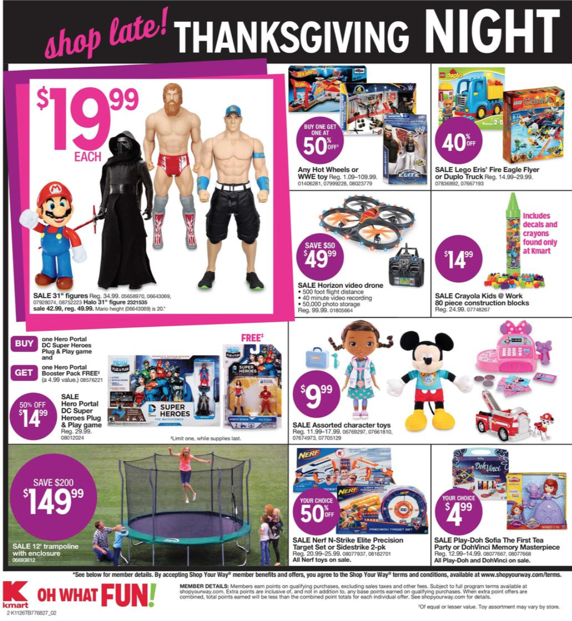 Here is the Kmart Black Friday sales ad circular for 2015! 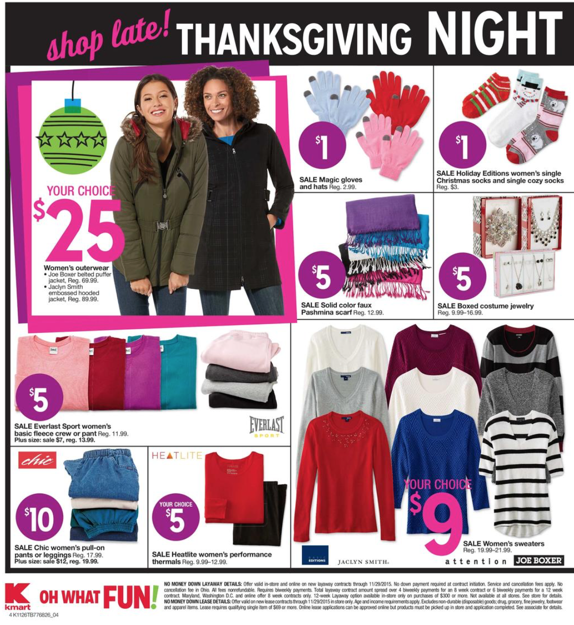 This year they are not opening until 7pm on Thanksgiving evening and they will stay open until 2pm on Black Friday. 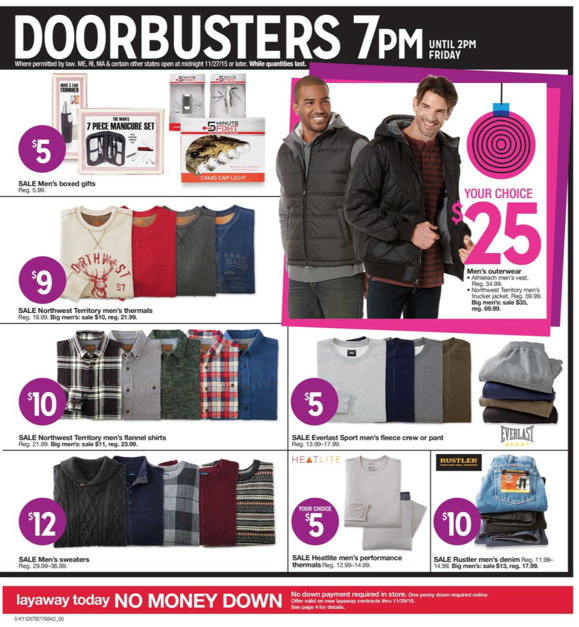 The first 100 shoppers, ages 18 or older will get a free goodie bag. There is a limit of 1 person while supplies last. No rain checks will be available. 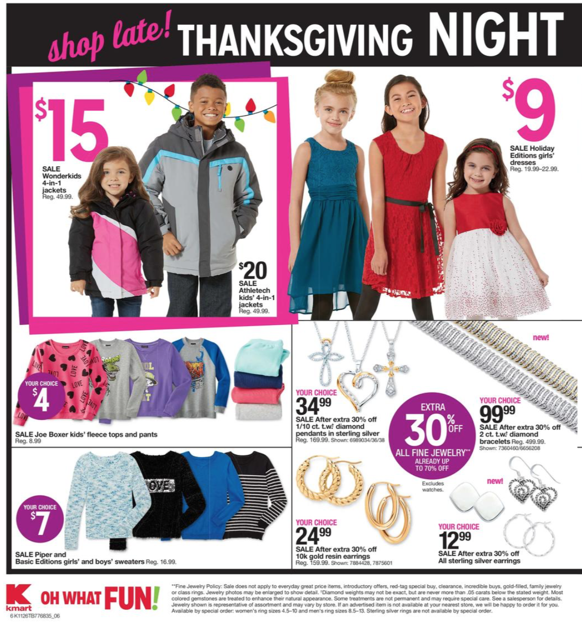 Kmart offers great prices on clothing, accessories, food items, and more! 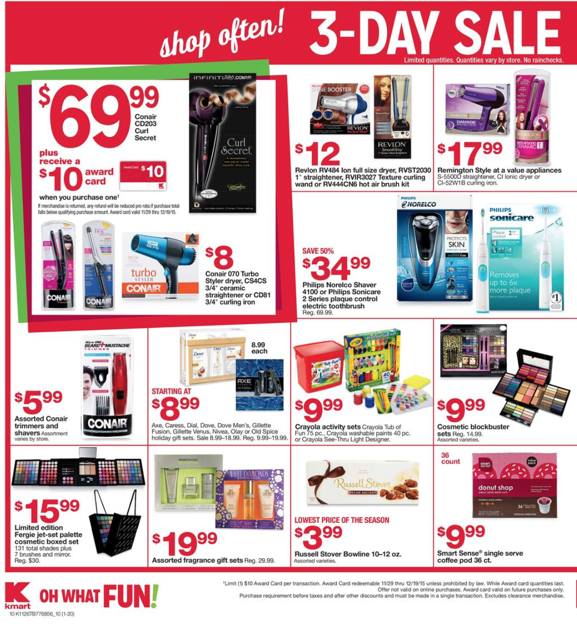 Also, check out this week’s Kmart ad. 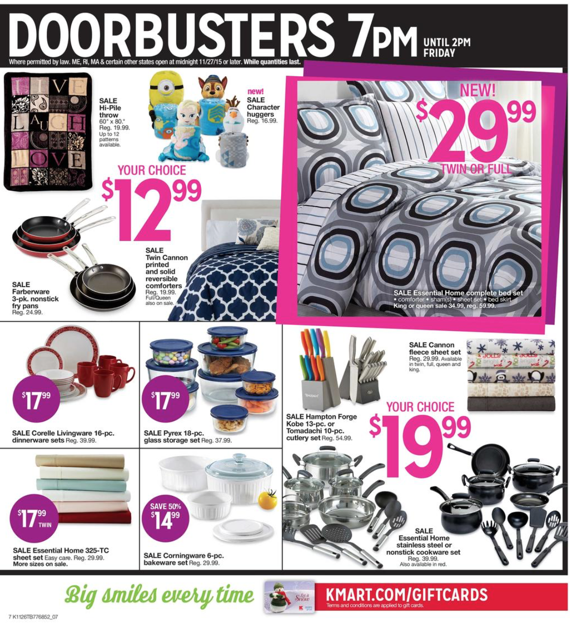 This is the first 11 pages of the Kmart Black Friday ad. View all pages here. 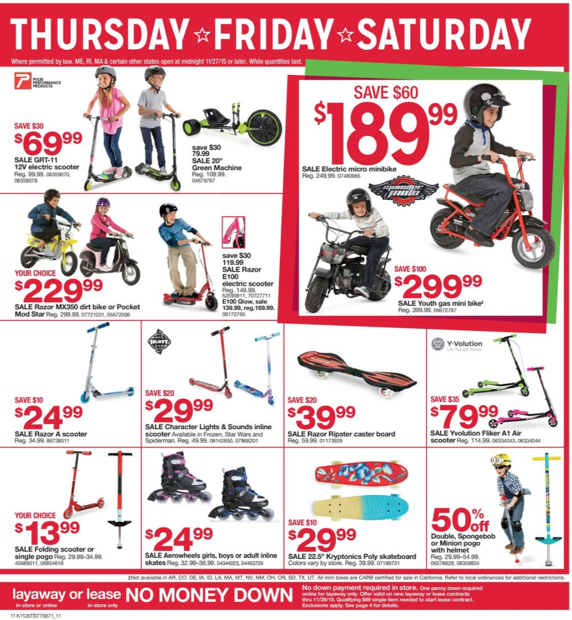 The best deals this year include a cheap artificial Christmas tree for only $15, poinsettias for $.89 each, and select holiday socks and mittens for $1 each. 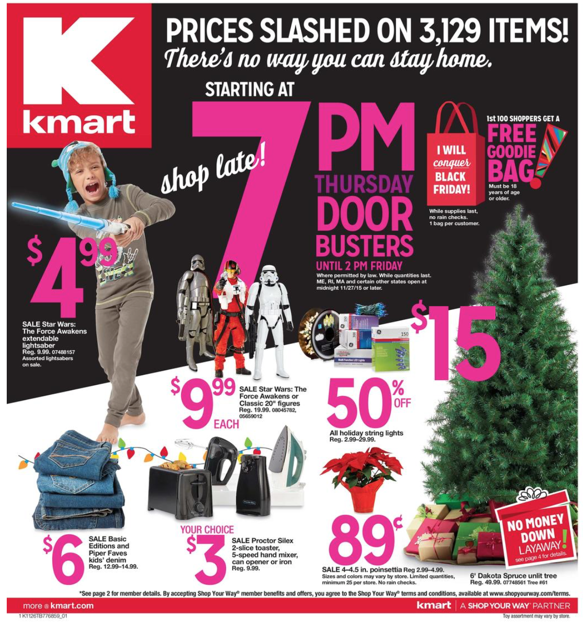 This year Kmart will be a great place to shop on Black Friday for presents, stocking stuffers, and maybe a little something for yourself.